After months of waiting for my new mobile phone when I finally received it and wanted to use it it turned out that it takes a micro SIM card instead of the mini SIM card my previous phone has been using. 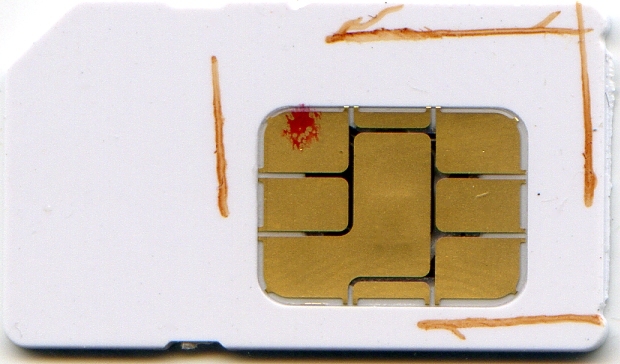 I knew that the SIM cards have gone through some extensive shrinking in the past, it just simply didn't occur to me that I might run into this problem. 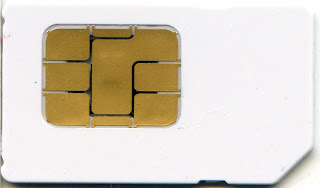 After some research I figured that my provider would charge me for issuing me with a new, smaller SIM card, not to mention the additional delay. 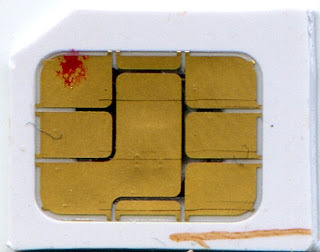 Roughly about 20 years ago, when the first mobile phones appeared I was doing some experiments with SIM cards and I still remember some of those experiments. The important thing I remember now is that the functionality of the card does not depend on its size/format. This led me to the idea that I should be able to cut it to size myself with a pair of scissors or a knife. 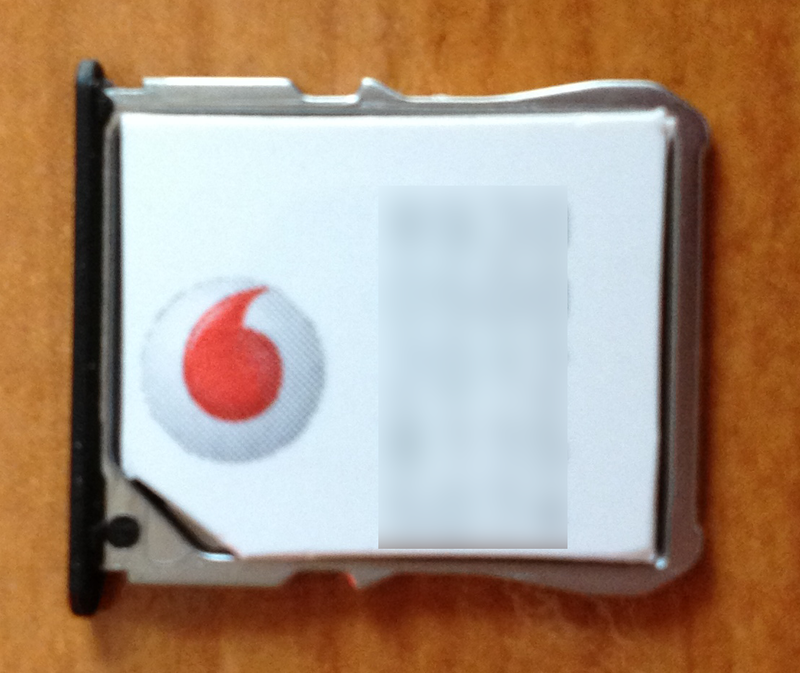 This is the mini SIM card I started with. 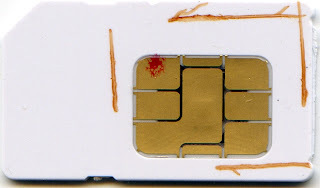 First, I marked the pin closest to the chopped corner of the card with a permanent marker. This helps later on to correctly orientate the card in the holder. With a vernier caliper I measured the exact sizes of the space in the SIM card holder, and marked (scratched) the SIM card. Then I went through the scratches with a marker so that I could better see the markings. With a pair of scissors (or a sharp knife) I cut the card along the markings. Remember: You can always cut off some more material from the card if it's still too big, but you can't add some if it's too small, so be careful. At this stage the card was still a bit too big. After I got this far I progressed only with a file. Finally, some small adjustments were done with a fine file to make a perfect fit for the card holder. OK, it's not a perfect fit, but it works! Even though the resulting card is not picture perfect, it works, and I saved a few tens of euros and a few days' waiting for a new card. The process took about 2 minutes and I only used tools/materials that are found in every home. 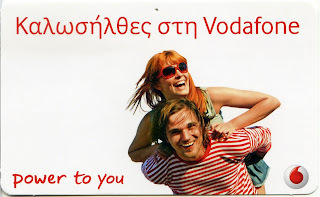 You are so cheap that it is wonderful. Sigh, there is such a joy in making do and recycling isn't there? Not to mention saving planetary resources as well as spitting in the eye of planned obsolescence. May you live long, well and prosper in all the important things. May your "junk" heap never diminish and your imagination grow exponentially.